Our Independence Day will come, it's called communism. In a joint U.$. and UK spying operation, agencies hacked into links to Yahoo and Google data centers, allowing them to freely collect information from user accounts on those systems. This data collection project, called MUSCULAR, is a joint operation between the U.$. National Security Agency (NSA) and the British Government Communications Headquarters (GCHQ). Documents released by former National Security Agency (NSA) contractor, Edward Snowden and "interviews with knowledgeable officials" are the sources for this news that was broken by The Washington Post on October 30, 2013. Google was "outraged" at this revelation, and many Amerikans were shocked to learn of the violation of their privacy by their own government. Of course, for those of us serious about security in our political organizing work, this is not breaking news. It is just further confirmation of what we've been saying for a long time: email is not secure, especially email on the major service providers like Google and Yahoo. Back in August MIM(Prisons) had our email account shut down when the U.$. government demanded that our email server, lavabit.com, turn over information on the accounts it provided. Lavabit decided it would rather stop providing services at all than comply with the government's demand. We can only assume that any email service still in operation is supplying information to the U.$. government. What is interesting about this story is not that the NSA is caught red handed snooping on people's email, but that they would even need to do this in the first place, when major companies are freely providing backdoor access to the U.$. government. A court-approved process provides the NSA with access to Yahoo and Google user accounts, through a program known as PRISM. Through PRISM, the NSA can demand online communications records that match specific search terms. Apparently this restriction to court approved search terms was too limiting for the NSA, who has been siphoning off vast portions of the data held in Google and Yahoo data centers, for analysis and more targeted snooping. As we pointed out in the article Self-Defense and Secure Communications: "Currently, we do not have the ability to defend the movement militarily, but we do have the ability to defend it with a well-informed electronic self-defense strategy. And just as computer technology, and the internet in particular, was a victory for free speech, it has played a role in leveling the battlefield to the point that the imperialists recognize computer warfare as a material vulnerability to their hegemony." In that article we provided some basic suggestions for communications self-defense, most of which are only possible for people outside of prisons. As more information comes out on the vast resources invested in electronic surveillance it is clearer that improving our technology is a form of offensive work as well, even if we aren't launching attacks. The imperialists are spending a lot of resources trying to defeat the tools we mention in our last article. In using these tools in our day-to-day work we tie up those resources that could be used to fight other battles against the oppressed elsewhere. This should be stressed to those who think security is taking time away from "real work." Some will not organize until they've read all of Marx's writings to ensure they understand Marxism. This is a mistake, just like waiting to get the perfect electronic security before doing any organizing work. But you should assume that all of our communications are being intercepted. Take whatever precautions you can to ensure your information cannot be accessed, or if it can, that it cannot be used against you or others. Security is like theory and any organizing skill; it should be constantly improved upon, but it should not paralyze your work. Notes: The Washington Post, October 30, 2013. The enemy of the state! Who brands us enemies, who labels us foes? or will you choose to use drugs in order to escape? and finally set the record straight? 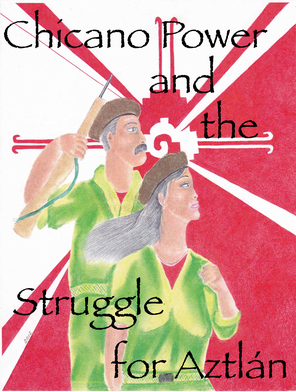 Who will organize the people? Who will lead the revolution?! and the new enemies of the state! The hunger strike that was to start here at Connally Unit on 21 October 2013 has been postponed. 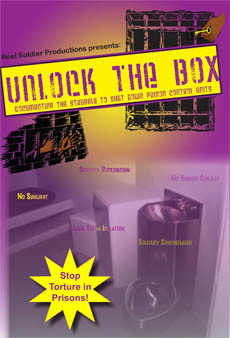 The powers that be have had close custody on continuous lock-down after an annual lock-down was lifted. Even though close custody went on lock-down before the rest of the unit, we have remained on lock-down unable to buy stamps and basic hygiene. However, a planned hunger strike to protest these conditions is temporarily on hold after meeting with the warden who claims that after we get shaken down we will be let off these inhumane conditions. If the warden does not start taking steps to change our status and conditions we have more who will go on hunger strike with us when we start back. Since we have nothing, we have nothing to lose. The seeds are being planted. 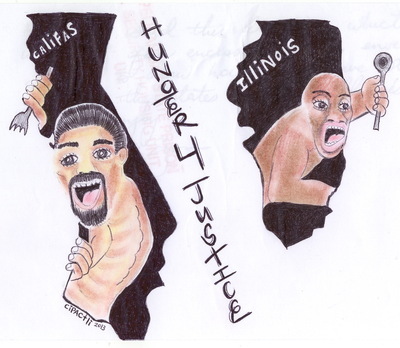 The 22 prisoner hunger strike at Pontiac Correctional Center that started at the beginning of October 2013 has ended, unsuccessfully, with prisoners being manipulated by the pigs to end the strike. One of the pigs' tactics was to not document prisoners who were on strike more than five days, thus causing some to stop striking. Others simply came off strike because the pigs "promised" to meet some of the demands that were being made. These demands included adequate sanitary supplies, programs for prisoners in long-term segregation, replacement of the current grievance officer, better recreation environment, etc. These requirements have yet to materialize and most prisoners who participated in the strike are scattered throughout the prison now. This separation was inevitable. For the pigs know in unity there's strength, so they reacted by separating us. But this will not stop the struggle. For each one will teach one and strengthen prisoner solidarity in the process. The goal now is to continue to build unity and peace amongst prisoners so that next time we strike we will be more organized and prepared to struggle fully! MIM(Prisons) responds: This report highlights some of the risks of getting ahead of the masses. This is at least the second hunger strike organized at Pontiac in the last year that we've heard of. So we do not mean to second guess the comrades' organizing choices there. But as these tactics show successes in some places, they are being imitated elsewhere. And it is important to assess your conditions where you are at, as you must gain more in terms of building peace and unity than you lose in the pigs moving people around and demoralizing the masses from engaging in future actions. The prison movement is on the rise, and by being smart it can continue to rise. Don't kill your own kind!